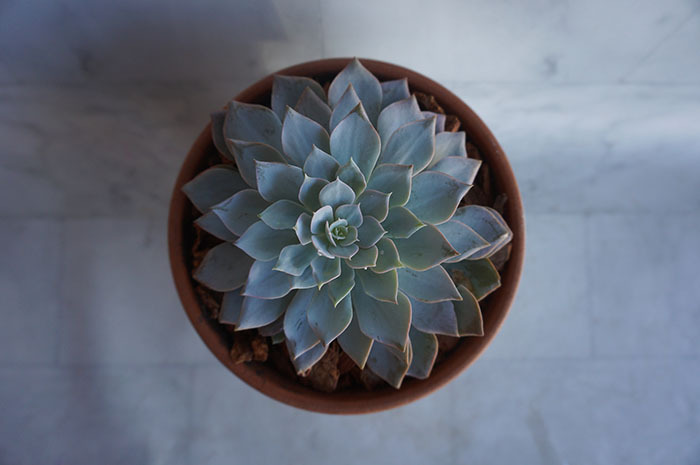 We’ve gone over location, temperature and water – your houseplants should be very healthy. Now they need a little food. Both plants and people need food but they need a healthy diet. Too much of a good thing can be bad. Too much fertilizer will cause the plant to wilt, leaves to burn, stunt the growth and even cause death. As you water the nutrients in the potting mix will leach out and need to be replaced (because we know you know have plants in pots with good drainage). Keep a bag of enriched potting mix on hand and every few weeks add a little to the top of the soil before you water and then water from the top. As the nutrients leach down through the soil, the plant gets fed. If you find you don’t have room to add potting mix but your plant is not ready to be repotted, remove and replace the top inch or so of potting mix and water. You can always use the fertilizer stakes or dilute liquid fertilizer but be sure to follow directions, if you over do, bye bye plant. Your plants, like everything else in your home will get dusty and dirty. Use a damp cloth to wipe the leaves and remove dust. If your plant is in the kitchen and gets a greasy film, use soapy water (just use dish soap) and clean the leaves. You can put your plants in the bathtub and use a spray bottle or even the shower as long as the stream of water is weak and soft. For smaller plants, I just put the top in a sink full of dish water, swish around and then rinse them off. A good rinsing, even if they aren’t really dusty is refreshing for the plants. We don’t just swim when dirty and I like to think they like taking a dip as well. Plants attract pests, especially if you have open windows and doors. Scale looks like little helmets and is usually on the stem and underside of the leaves and leaves can be sticky. Mealy bugs leave what looks like little bits of cotton on the stems/joints of plants. Most pests can be killed with soap, so spraying or dunking with diluted dish soap is a good treatment. I usually leave the soap on for a while to kill the pests and then rinse the plant. Many pests lay eggs in the soil, so leaching with soapy water is necessary to kill the larva. If you have a serious infestation, let the soil dry between watering, the larva like it moist, or remove the top couple of inches of potting mix and replace with new. For bigger clusters of infestation, a qtip dipped in rubbing alcohol will work. Killing a large infestation can be time consuming, so checking and stopping it when it starts is best. Give them regular washings and showers and they will be happy. There are several diseases your plants can get, mold, mildew, stem rot, etc. but if your plants is well cared for this is unlikely. If you do see mold or mildew, remove the infected areas, and go back to part one and start treating your plant right! Most mold or mildew comes from over humid surroundings, poor ventilation or pests. For really bad infestations or diseases, it’s best to clean the plant, remove affected areas and then repot.